Marinko Matosevic has claimed one of the finest wins of his career in Basel, while Lleyton Hewitt fell in the second round in Valencia. Marinko Matosevic has continued to build on his already impressive 2012 season, upsetting No.7 seed Florian Mayer in straight sets at the ATP Swiss Indoors in Basel. 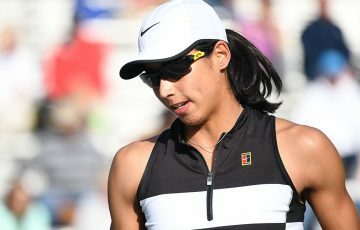 The Victorian handled Mayer with ease, the 6-2 6-3 victory coming in just over an hour. 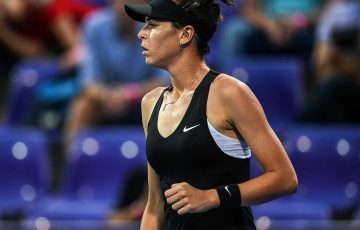 Mayer, currently ranked No.28, is one of the biggest scalps of Matosevic’s career – his only win over a higher-ranked player this season came against then 19th-ranked Richard Gasquet four months ago in Eastbourne. 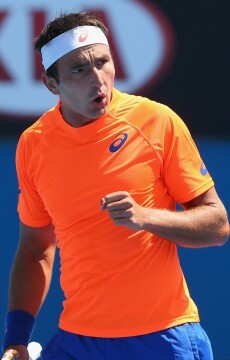 Matosevic, who is poised to break into the world’s top 50 from his current mark at No.51, won 80 per cent of points behind his first serve and broke serve four times to seal the win. It sets up a second round clash with big-serving South African Kevin Anderson. 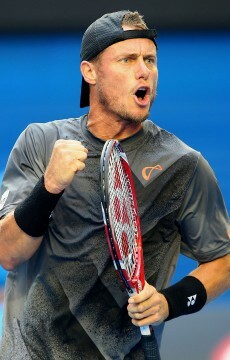 Anderson beat Matosevic in the Aussie’s maiden ATP final in Delray Beach in early March. 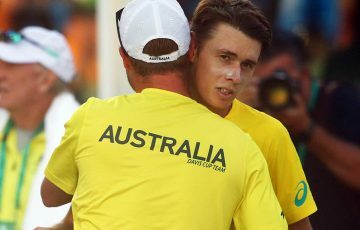 Meanwhile, Lleyton Hewitt has been unable to continue the form from his shock first-round win at the Valencia Open, going down to Croatian qualifier Ivan Dodig on Wednesday. 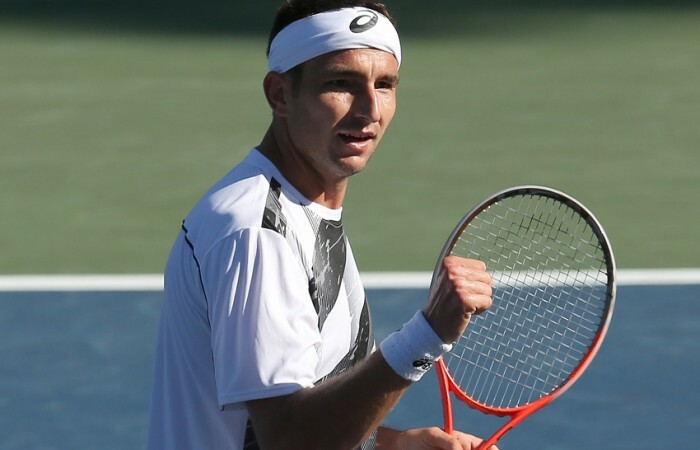 Two days after upsetting world No.10 Juan Monaco in straight sets, the Australian wildcard went down to the world No.110 Dodig 6-1 3-6 6-2 in two hours and three minutes. 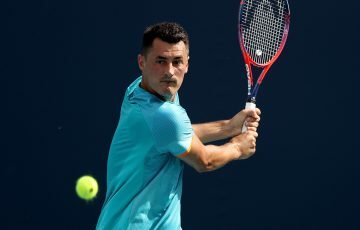 Dodig broke Hewitt five times on his way to setting up a quarterfinal meeting against compatriot Marin Cilic, who brushed aside Fernando Verdasco 6-1 6-4. His serve was also firing, with Dodig banging down 10 aces to two on his way to victory.